Do you have a burden for children? Do you see their worth? Do you hear their voice and know their concerns? What about discipleship? Do you know how to disciple boys and girls in the way of Jesus? If so, there is a big opportunity for you in the Paris Hub. 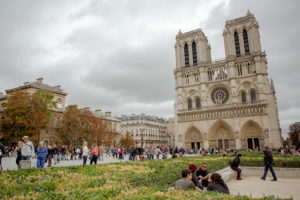 You could come to Paris and learn French language and culture while discovering and serving (in whatever way possible) how the French Church is currently engaging children and discipling them. Once acclimated, trusted, and well-networked, you can be a part of helping churches disciple their children and reach out to their neighbor’s children. We require you to be experienced and good at engaging with, caring for and serving children (and their parents). We require you to be able to work with others. This is an important ministry that begs to be structured and intentional. Lone rangers pass on by. We require you to be patient. It takes some time to learn how to communicate and perform well in French. Patience goes a long way.